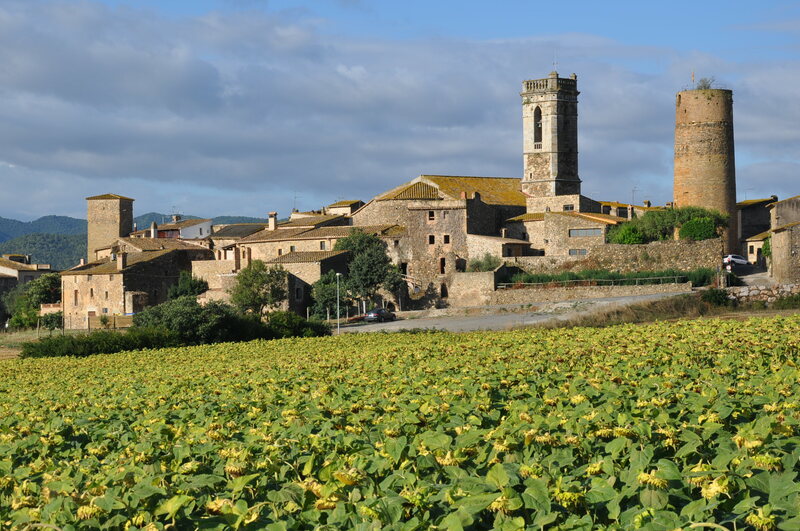 A tour of the various medieval villages of the `Empordà´ will take you back to past times and show you the well-preserved places, surrounded by magnificent scenery, in all its beauty. 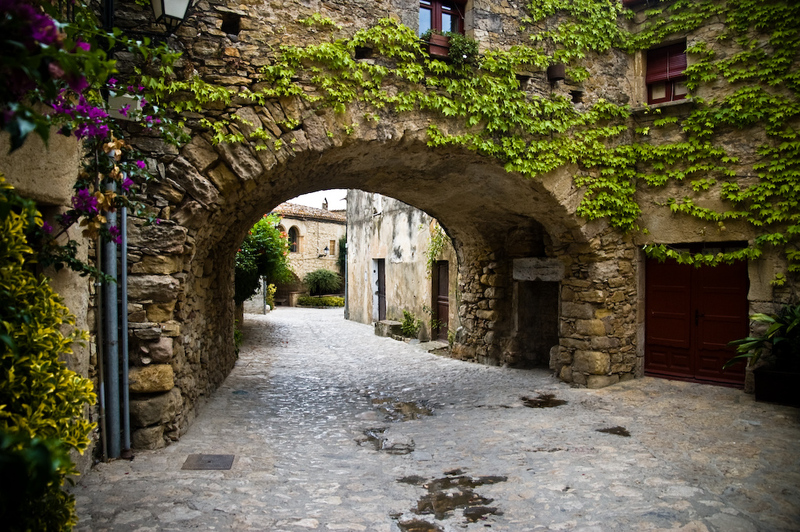 At any time of the year, the Peratallada village is worth a visit, with a population of just under 400 inhabitants, providing peace and tranquility. Relax on a stroll through its cobblestone narrow streets and discover its beautiful castle, well preserved and restored small stone houses with nice arcades and linger in one of the small restaurants or craft shops. Just 2 km from Peratallada you can find the small rural hotel MAS RABIOL, exclusively for adults, which radiates the charm and essence of the medieval villages of Empordà. `Mas Rabiol´ is housed in a typical Catalan farmhouse from the 16th century surrounded by a spacious garden with pool and hammock area. In its rustic rooms combined with modern furnishings you can perfectly disconnect. Do not miss the local gastronomy, a perfect blend of Catalan and Mediterranean traditional dishes. Discover Peratalladas essence at Mas Rabiol, book now! 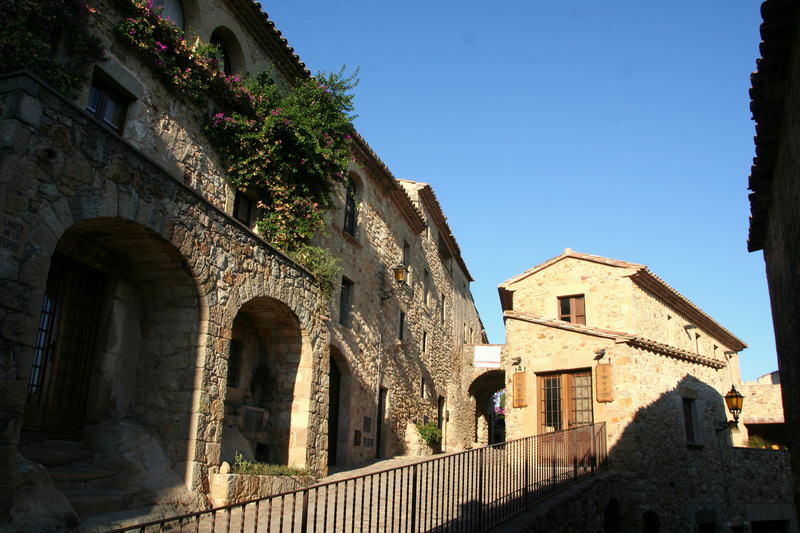 Until recently `Monells´ was still a rough diamond, a quiet unknown place in the middle of the larger, more tourist villages of the Empordà. Its narrow, stone alleys lead the visitor to the origins of the town, where the castle `Castillo del bizconde de Bas´ was built in the 12th century and whose main square was one of the busiest markets in the area. Today, the charm of Monells lies in the remains of the ancient stone wall and its beautiful village core with the main square and the church `Iglésia de San Gines´. Emilio Martínez Lázaro fell in love with this place like everyone who visits it, and chose Monells without hesitation for the link of his film `Ocho apellidos catalanes’ (Eight Catalan surnames). Hotel EL PALAUET DE MONELLS is located in a beautiful mansion dating from the 17th century with only 6 charming, unique rooms. 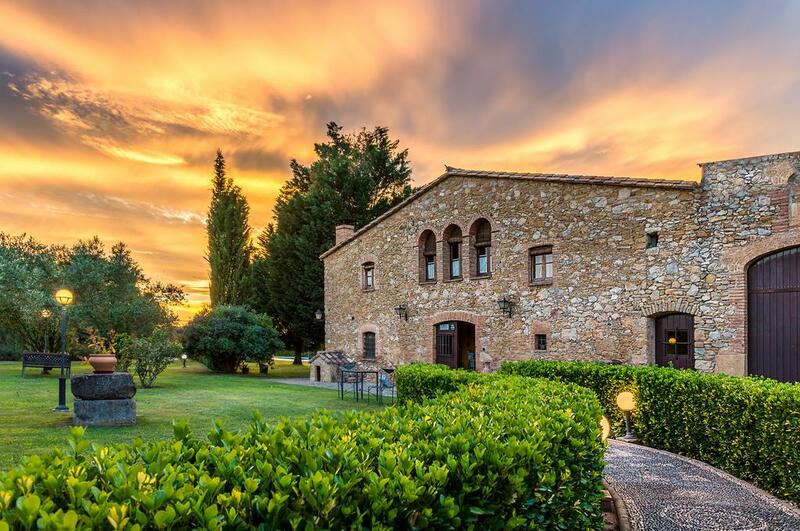 The calm and serenity of the Medieval villages of the Empordà is reflected in this wonderful hotel `Palauet de Monells´, rounded off by a small, very romantic SPA on the ground floor, lit by a spectacular skylight with sunrays. A paradisiac place in a fairy-tale village. 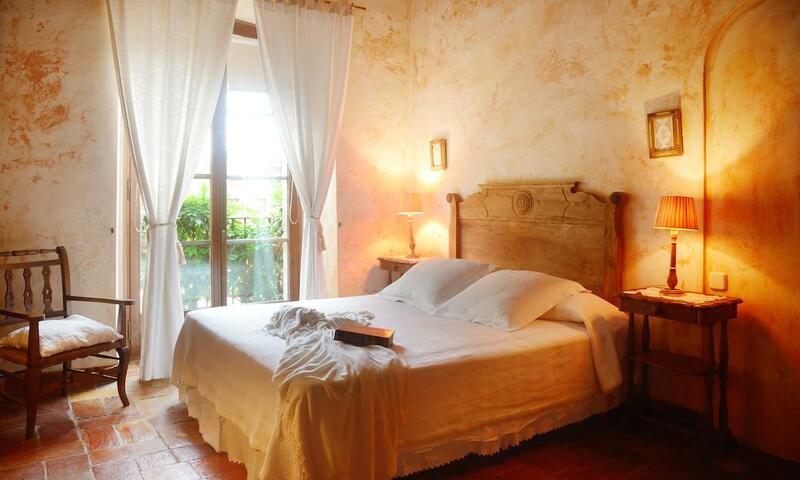 Fall in love with Monells at the wonderful Hotel El Palauet de Monells. The three villages ‘Monells’, ‘Sant Sadurní de l’Heura’ and ‘Cruïlles’ form one of the most beautiful municipalities of the Empordà. At the heart of the town of Cruïlles we find the tower of the castle crowned with an olive tree, and the bell tower of the pilgrimage chapel ‘Santa Eulàlia’. 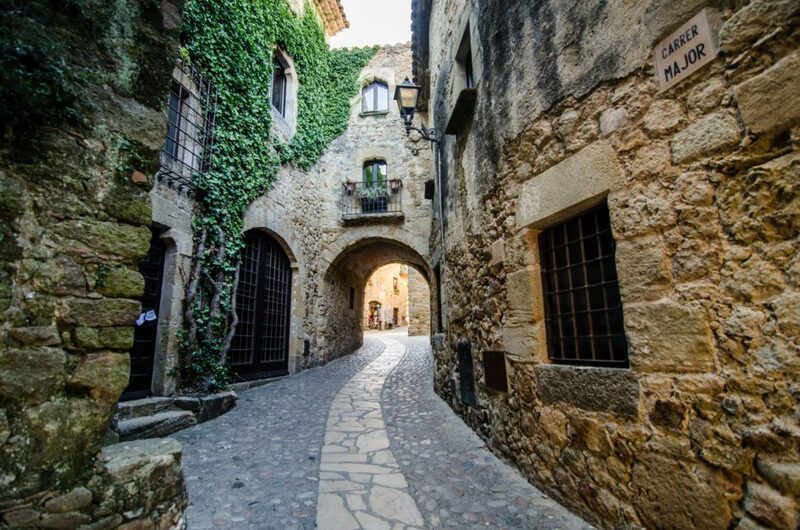 Take the opportunity to stroll through this quiet medieval village and enjoy every single corner and visit the Benedictine monastery of Sant Miquel de Cruïlles in the Romanesque style. 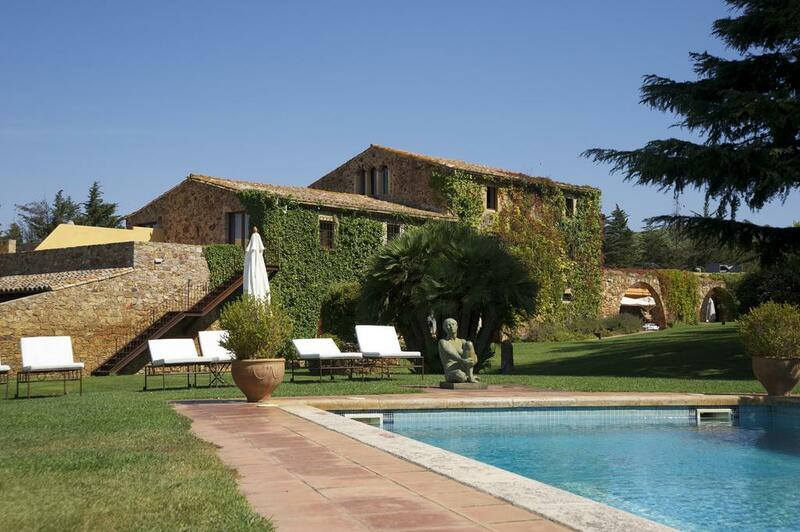 Round off your getaway with a stay at the beautiful Boutique Hotel CAN MATEU DE LA CREU, reserved for adults only, housed in an 18th century Catalan farmhouse with outdoor pool and large garden. Book your getaway at Hotel Can Mateu de la Creu. We continue our journey and just 20 km away from Cruïlles we find one of the best preserved medieval villages of the Empordà, a contemporary witness of the architectural past. From `Pals´ you can enjoy the best views of the fertile plain of the Costa Brava. Not in vain `Pals´ was the source of inspiration for the writer Josep Pla. Pals surprises the visitor with its beautiful stone houses, the wall and a part of the castle, guarded by the tower `Torre de las horas´. This charming village is like a living museum, which gives the visitor a close-up view of the medieval history. Let yourself be enchanted by architectural details such as vaults, arches and Roman and Gothic windows on your discovery tour through the cobbled streets until you reach the viewpoint `Josep Pla´. On clear days you can enjoy a fantastic view over the valley, discovering the islands `Islas Medas’ and the `Montgrí mountain range’. On the outskirts of the village of Pals, this exclusive and comfortable hotel, nestled between forest and garden, is the ideal place to find peace and relaxation in its outdoor swimming pool or in its spectacular SPA. MAS SALVI is housed in a typical Catalan farmhouse in the 17th-century style, combining the charm of the past with avant-garde details. Mas Salvi takes you to the wonderful village of Pals, reserve now. 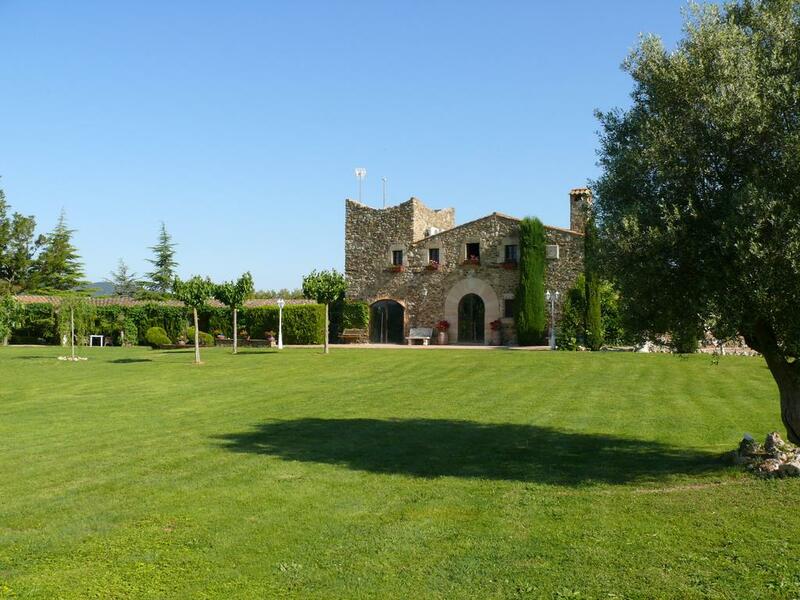 Discover more charming boutique hotels in Baix Empordà and boutique hotels on the Costa Brava.